VueMyGolf serves all worldwide golf courses, both directly and via a global network of distributors. Here are our list of exclusive distributors and the geographical territory they represent VueMyGolf. SIGNAGOLF is a registered trademark of the company VPW SOLUTION that specializes in services and equipment goods for Golf Courses. SIGNAGOLF offers a global solution regarding golfers’ comfort equipment and information signs. 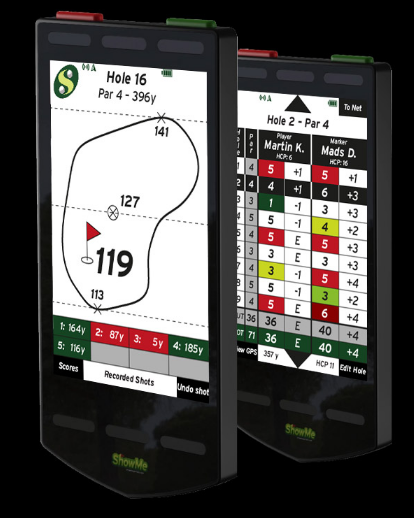 For the golf club Managers, SIGNAGOLF has developed a concept that aims at generating new incomes while keeping your signage and equipment nice and up to date. More precisely, SIGNAGOLF offer a specialized outsourced advertising network. Adding to this, we sell French designed Golf course furniture and signage. Last but not least, SIGNAGOLF is able to provide the golf courses with 2D and 3D images and full 3D FLYOVER VIDEOS. Each of which includes obstacles and distances. ShowMe have extensive knowledge inside the Golf industry and has for the last 5 years engaged with leading players, companies and tours to provide services within GPS mapping, golf shot tracking, tournament administration and broadcasting software as well as mobile apps. Pro Game UK Ltd are officially the fastest growing tee sign sponsor company based here in the UK. 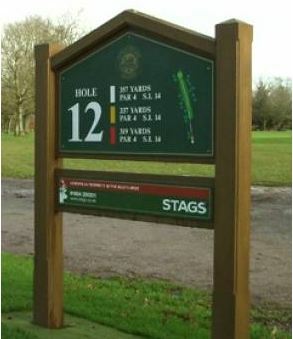 The company set up in 2012 and work with over 35 golf clubs providing a professional service for golf clubs that are seeking alternative ways to fund their signage requirements and increasingly clubs now want to fund their signage requirements by sponsorship acquisitions. VueMyGolf, a division of GeoShot Technologies, is at the forefront of advanced 3D visualization of golf courses. We have worldwide experience of designing all type of golf courses. VueMyGolf's product offering now includes digital media and print media. VueMyGolf offers a range of video and still graphic styles with various file format options to suit evry golf course needs. VueMyGolf offers various pricing and affordable membership options for golf courses to obtain the best 3D graphics for their golf courses. Not sure which type of golf 3D flyover video and yardage book you need? Call us today at +91 9810818698 for pricing and details. We'll be happy to answer all of your questions.